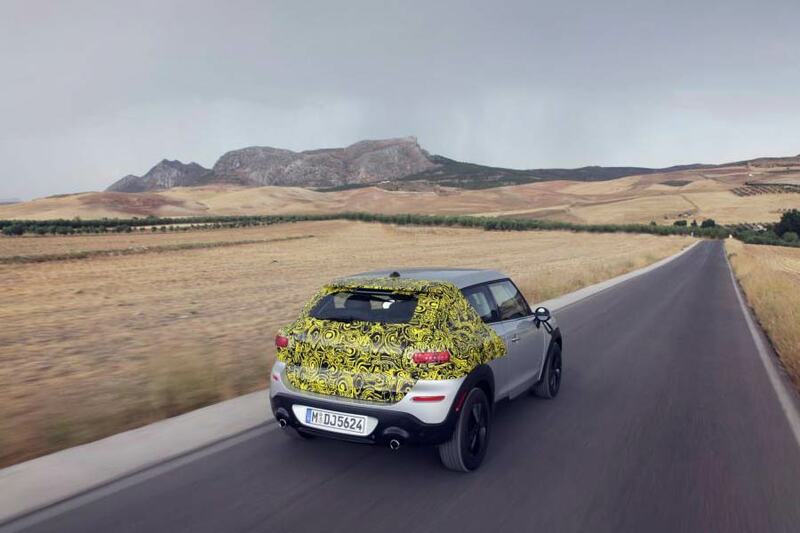 MINI has released a handful of photos featuring a lightly camouflaged pre-production Paceman model. The images, which surfaced on the company’s Facebook page, show what is basically a three-door Countryman, complete with Range Rover Evoque-style sloping roof, revised tailgate and LED rear lights. Expect the same range of engine options as its four-door sibling, starting with a 72 kW (98 hp) One right up to the brawnier 160 kW (218 hp) John Cooper Works version. If MINI sticks with its ill fated WRC program, we wouldn’t be surprised if a rally version of the Paceman appears at some stage in the future. 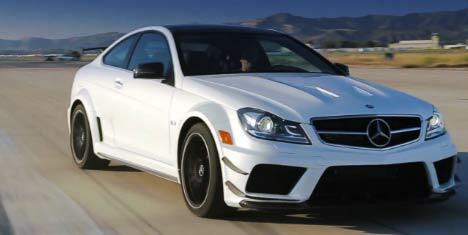 Motor Trend’s latest episode of Ignition sees the mighty C 63 AMG Coupe Black Series being put through its paces. Associate Road Test Editor Carlos Lago gives the 380 kW/517 hp Coupe a decent workout before handing the keys over to professional racing driver, Randy Pobst, who proceeds to stretch its legs around Laguna Seca Raceway. 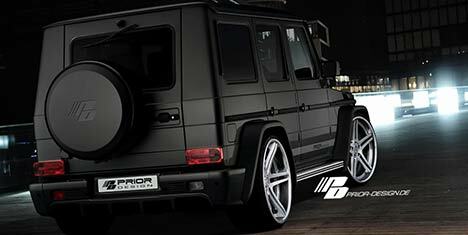 Kamp-Lintfort styling specialist Prior Designhas created this interesting wide-body program for the [W463] Mercedes G-Class. Constructed from Dura-Flex FRP (Fibre Reinforced Plastic), the aero package consists of a front bumper with fog lamps, rear bumper with diffuser section, a ventilated hod and set of widened wheel arch extensions. The kit weighs in at €12,900 or €6,900 for the non-wide version, while those 23-inch DPE alloy wheels will set you back €7,900 including tyres. The spare wheel cover is priced at €1,199. 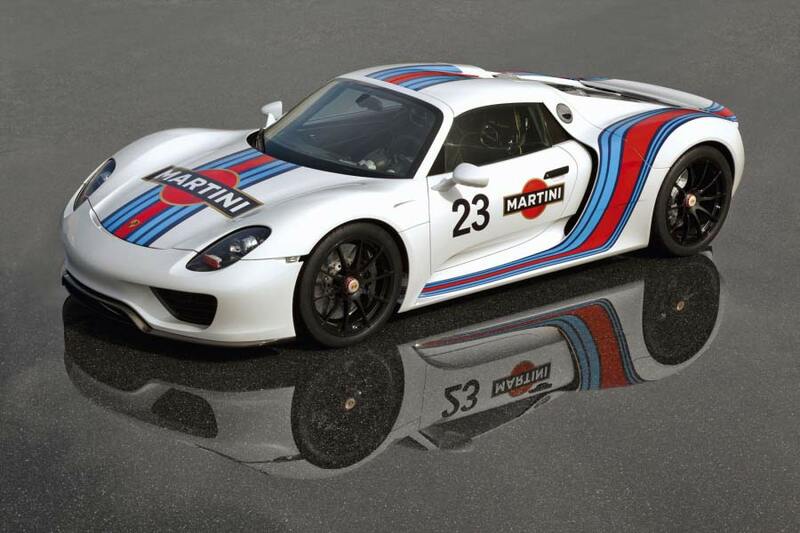 Following on from the recent spy video, Porsche has released these fantastic photos of its 918 Spyder prototype, looking resplendent in its Martini Racing livery, highlighting the special partnership between the companies which will continue with this new car. Now in the next phase of driving trials at the fabled Nurburgring, the 918 Spyder uses a carbon fibre reinforced polymer monocoque, ensuring a rigid yet lightweight design, but it’s the drivetrain that remains the main talking point. At the heart of the Targa-roofed 918 is a 425 kW (570 hp) 4.6-litre V8 engine, which is complemented by a 90 kW (121 hp) hybrid module at the rear along with a 80 kW (107 hp) electric motor driving the front wheels. When relying on electric power alone, top speed is 150 km/h (93 mph) with a range of 25 kilometres achievable – depending on driving style but, with the full-on 574 kW (770 hp) a its disposal, 100 km/h appears in just 3 seconds, while top speed is 325 km/h (202 mph). All from a car capable of consuming around three litres of fuel every 100 kilometres. Other equipment of note includes a hybrid brake system with adaptive recuperation, ceramic brake discs, an adaptive electro-mechanical system on the rear axle for individual rear wheel steering, an optional electro-pneumatic lift system on the front axle and, of course, that stunning Martini Racing livery. 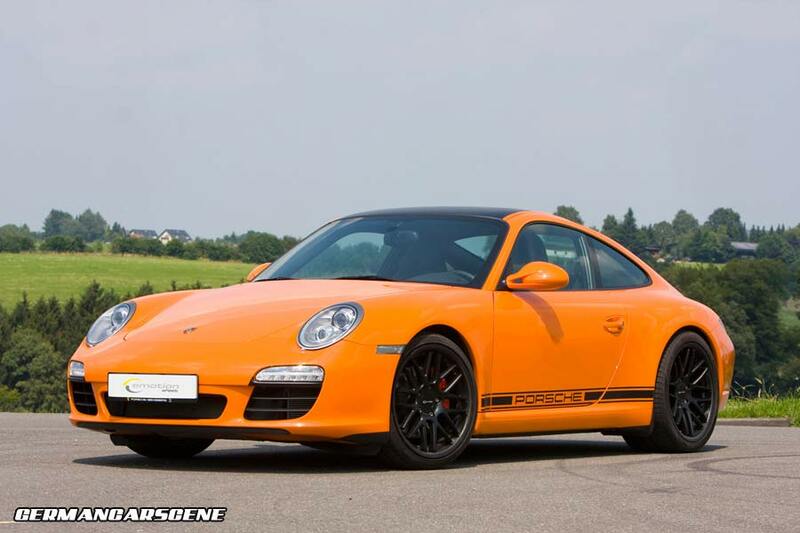 Ratingen-based aftermarket manufacturer, Emotion Wheels, has revealed its Concave design. The eight double-spoke wheels feature matte black centres with replaceable stainless steel lip protectors in a polished finish or, as pictured on this Porsche 997.2 Carrera, with an optional carbon wrap. Prices range from €320 to €509. 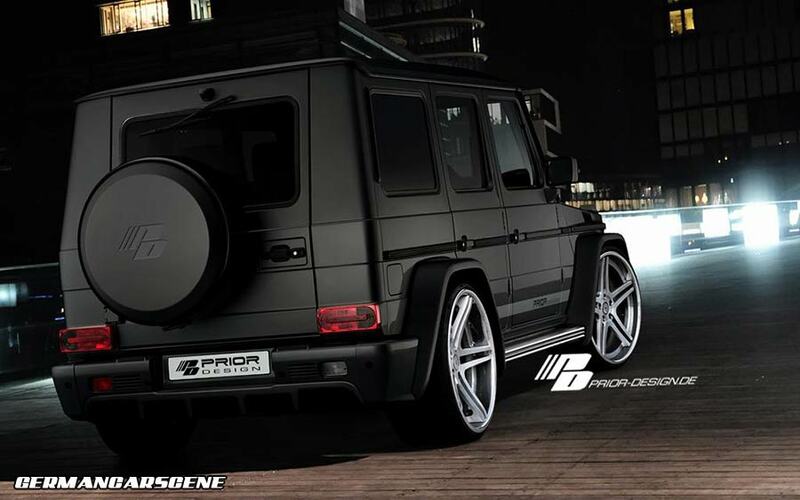 The wheels shown here are sized 8.5×19 and 11×19-inches and wear 235/35ZR19 and 295/30ZR19 tyres. Autoblog recently got behind the wheel of Volkswagen’s stunning E-Bugster Concept electric vehicle.